BERLIN -- Hamburg, Germany's second-largest city, will restrict older diesel vehicles from selected urban areas starting next week, marking the first driving ban in the country for the embattled technology. Beginning May 31, the port city of 1.8 million people will prevent cars and trucks that don't meet at least Euro-6 emissions standards from using a stretch of Max Brauer Allee, a key avenue that runs northeast from the Altona train station. It will also ban trucks from a 1-mile (1.6-kilometer) section of Stresemannstrasse, a major east-west thoroughfare, according to a statement. Drivers aiming for a destination on the two affected streets, including residents, trash collectors, suppliers and taxis, will be exempt from the restrictions, a spokesman for Hamburg's environment and energy department said. Police will make random checks and fine drivers of older diesel cars 25 euros ($30) and truck owners up to 75 euros for violating the new rules. Of the 330,000 diesel cars on Hamburg's roads, only about 116,000 have the Euro-6 technology that was introduced in 2014, according to local government data. The decision puts Hamburg at the forefront of German cities seeking to improve air quality by targeting diesel. A landmark German court ruling in February opened the door to municipal restrictions on where diesel cars can operate. There's also mounting pressure from the European Union, which has sued Germany and other member states over failure to meet targets on nitrogen oxides and particulate matter in the air. Last year, more than 65 German cities exceeded permitted levels of NOx, which can cause respiratory problems. The main source of the gases is diesel vehicles. 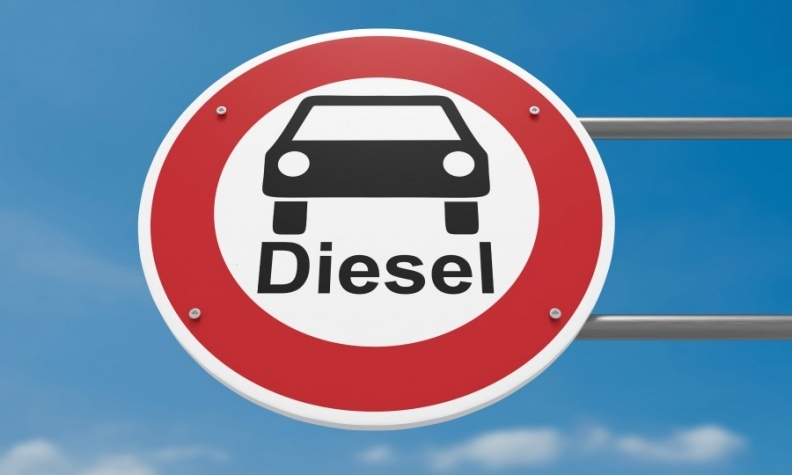 Since the ruling was disclosed, the environment minister of Germany's northernmost state, Schleswig-Holstein, has said banning older diesel vehicles could also be an option for the regional capital Kiel, a city of about 250,000 people. On Tuesday, Heidelberg Mayor Eckart Wuerzner pledged to allow only zero-emissions vehicles on downtown streets by 2030, though that proposal still must be passed by the local council. Germany is a cornerstone for diesel technology, which accounts for thousands of automotive jobs. While Chancellor Angela Merkel's government has sought to shore up diesel to protect local manufacturing jobs, consumers have gradually shunned the technology in the wake of Volkswagen's emissions-cheating scandal. With demand wavering, carmakers such as Toyota and Nissan have announced plans to halt diesel-model sales. To combat the concerns, BMW, Volkswagen and PSA Group are offering deals that allow car owners to switch to a gasoline variant if they're affected by driving bans. Even as they emit higher amounts of NOx, diesel autos produce less carbon dioxide than equivalent gasoline vehicles. That makes the fuel especially important for German carmakers to lower CO2 emissions to meet environmental rules that will tighten in 2021. Bans on diesel vehicles from city centers are also planned in Paris, Madrid, Mexico City and Athens by 2025, while the mayor of Copenhagen wants to bar new diesel cars from entering the city centre as soon as next year.